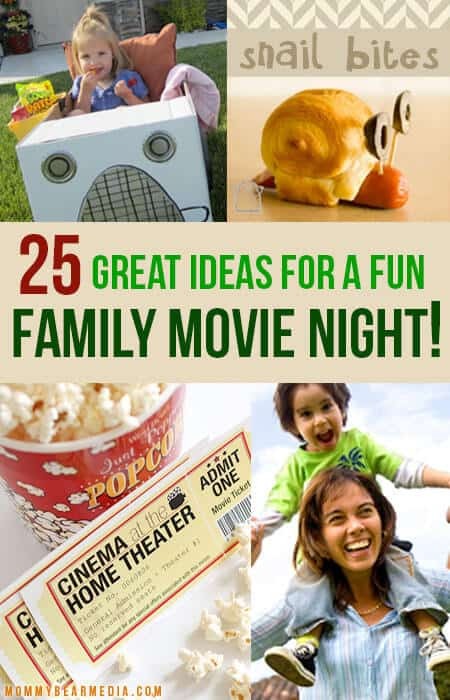 25 Great Ideas For A Fun, Frugal Family Movie Night! Movies, family and fun go hand-in-hand… Your family fun movie night is even more fun when it includes frugal living. 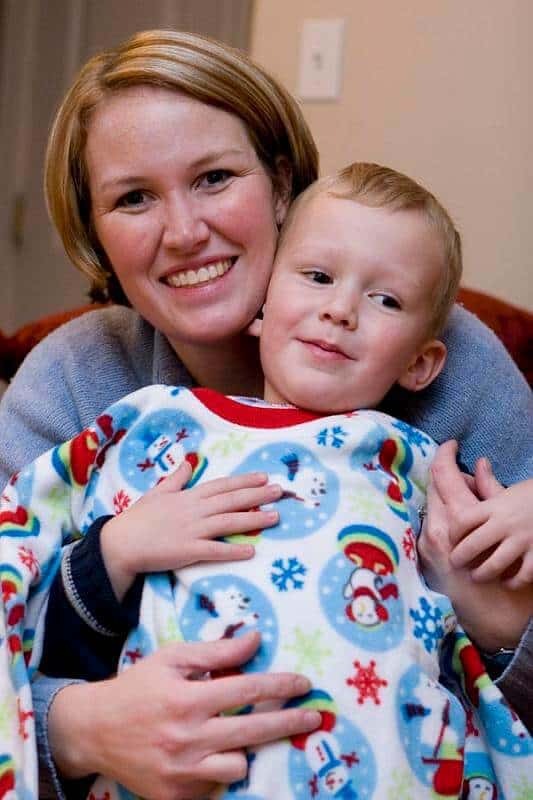 Frugality can bring a new sense of fun to a family movie night. Let’s face it, nobody likes to feel like they spent their very last penny while sharing a fun movie night with the family. 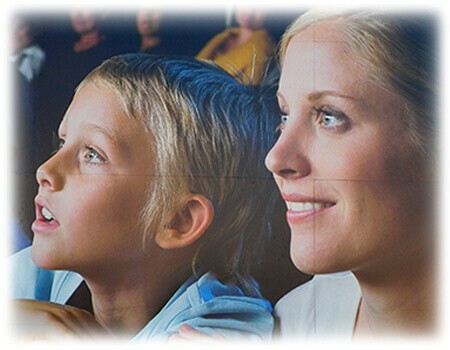 We have 25 fabulous ideas (some no-brainers and some “why didn’t I think of that?” ideas) on how you can make every moment magical with a family-friendly movie. Dinner… & a Movie. Let the kids eat dinner while watching… If you spread enough blankets out and give them water bottles (with water, juice, or soda depending on how brave you are 😉 ), you’ll greatly reduce chances of spilling and ruining the carpet. Eat simple foods like pizza, mac and cheese, a salad bar, pigs in blankets, corn dogs, baked potato bar, chicken nuggets, Costco’s “chicken bakes” (a favorite with my teens), or another easy favorite. 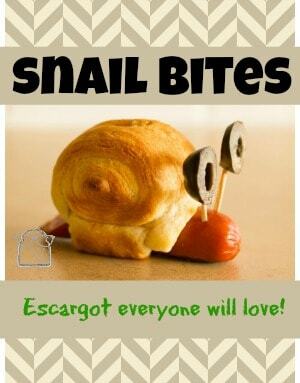 “Movie-Themed Meals”: Wanna get really creative on movie night food or treats? Try a “movie-themed meal”… Try having angel hair pasta and braided breadsticks while watching Tangled; “Flo’s V8 Cafe” burgers and fries with Cars; banana splits, monkey bread, and animal crackers with any of the Lion King series, Jumanji, Rio or Jungle Book; see these really cute ideas if you’re watching A Bug’s Life; ice cream sundaes, ice cream sandwiches or smoothies for Frozen, any of the Ice Age movies, or Happy Feet; goldfish crackers, and fishy fruit snacks with Finding Nemo or Shark Tale; burgers, fries and milkshakes while watching Grease or Hairspray; use any Veggie Tales movie as an excuse to break out the fruits, veggies and dips (Haha! 😀 Sneaky! ); spaghetti and meatballs for Lady and the Tramp; Turbo; bbq ribs, chili or soup, cornbread and root beer in frosty mugs for any western movie such as: Rango, Cowboys and Aliens, An American Tail or The Man from Snowy River; or have breakfast for dinner, then cookies and milk for dessert and watch Bedtime Stories… Get the idea? Go ahead… Be creative! “First! We Got to Create… da Mooood” (remember Sebastian from The Little Mermaid? 😉 ) Create soft theater lighting by placing red or blue (or other dark-colored) Christmas lights around the perimeter of the room and turning the other lights off. Popcorn Party! Pop popcorn and give it a little kick… Sprinkle a little cinnamon/sugar on it; have melted butter, caramel or chocolate available for drizzling; or try something new like parmesan popcorn or party popcorn! Get Comfy: Pull out the bean bag chairs (a reason to pull them out of storage) or even set up a few small pup tents. Watch from Down Under… Spread out pillows, blankets, sleeping bags and stuffed animals on the floor and watch from there. Snack & Dinner “Spot”. Need a spot for everyone’s dinner or goodies? 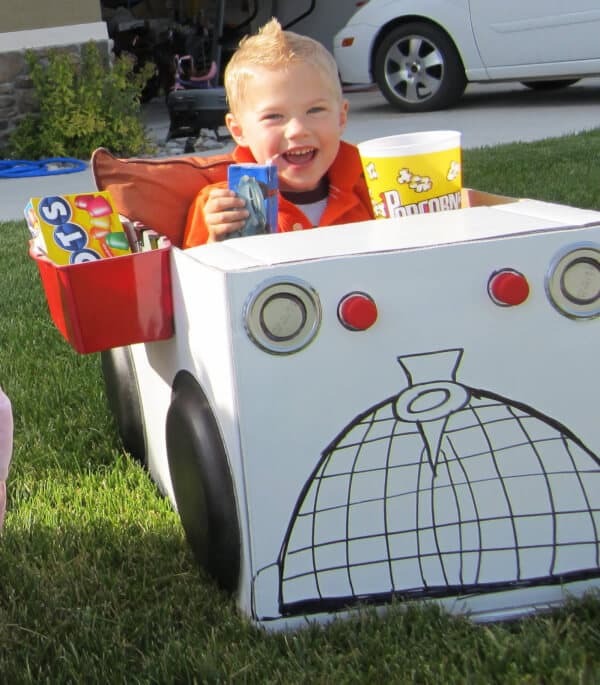 Take a look at this great idea for everyone to have their own movie concession box. Dress up. Wear fun hats or have everyone choose a character and dress as he or she does in the film. Check out these cute flower hats (HOW do people come up with such cute ideas?) if you’re watching A Bug’s Life, Antz, Honey, I Shrunk the Kids, Bee Movie or other similar shows. Get Fancy. Break out the tiara and ball gowns, especially if you have a girl in the family. Beauty and The Beast, Cinderella, Aladdin, Sleeping Beauty, Snow White or Princess and the Frog are just a few of some great princess movies to watch while wearing glitter. The boys could really enjoy these movies, too, dressed up with robes, swords, and crowns (Burger King is a great place for free prince-like crowns). Warning: they may do more sword-fighting than watching the movie, though! Sing along! Every kid loves music… make the night magical and musical. Intermission Time… Plan an intermission halfway through the movie. Allow everyone to use the restroom, and get food and drink refills without disturbing anyone. Once intermission is over, flicker the lights to indicate the movie will be starting soon. The Best Movie Star… YOU! If you have any home movies or Grandma and Grandpa do, what better movie to watch than one where YOU are the star! Kids love seeing themselves on film. My kids love watching our wedding video and seeing family they know. (One time, one of the kids said, “Hey! Where am I in this movie?” 😉 ) Better yet, invite Grandma, Grandpa, cousins, aunts and uncles… Make it an “extended family movie night”! Clap for exciting scenes in the movie. Celebrate! Depending on the theme of the movie, set out some colored balloons, streamers, colored Christmas lights, or confetti that reflect the tone of the movie. “Share the Ages”. Do you have older and younger children? Make sure to take turns picking movies that appeal to each of the ages. One time, let the older kids pick (such as Hunger Games, The Avengers, The Hobbit, Real Steel, Spiderman, Harry Potter or others); and the next time, let the younger ones pick (like Mulan, Aladdin, Tangled, Monsters, Toy Story, Frozen, The Croods, etc). It’s also a good reminder that we can all take turns, no matter our age;). (Again, make sure you review the older kids’ picks beforehand to see if it’s ok for your younger ones! Or, be ready to do some “fancy fast-forwarding” during the show!) It can be difficult to find movies that appeal to both, so for the times you have a movie that might not keep the younger ones’ attention as well, try movie night bingo…. a great way to keep the lil ones engaged :D! LAUGH! The family that laughs together, stays together! Take it Outside… Set up a projector, hang a sheet, invite the neighbors and sit on beach or camp chairs for an outdoor movie night! Or, set up tents, sleeping bags, mattresses or throw some pillows and blankets out on the trampoline (if available) for fun ways to watch the movie:). Read… then See. 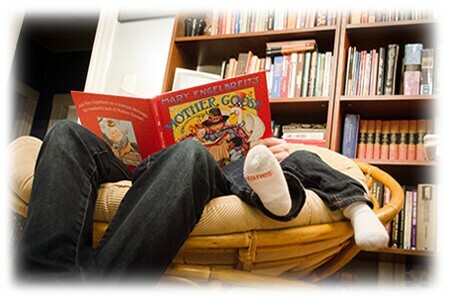 Have you recently read a good book as a family that now has a movie made about it? If not, try it! Then, after you’ve read it, sit down to enjoy the movie. Afterward, talk about what was different in the movie from the book, if you liked or didn’t like what was different, and what you would’ve done differently if YOU had made the movie. You could also talk about the benefits of reading and how your imagination can literally take you on amazing journeys! Take a look at this GIANT list of children’s books that were made into movies (that kids of all ages will enjoy!). Some great options could be: Horton Hears a Who, How the Grinch Stole Christmas, Night at the Museum, Bridge to Terabithia, Diary of a Wimpy Kid, The Polar Express, Mr. Popper’s Penguins, Ella Enchanted, The Sword in the Stone, Percy Jackson & the Olympians… You might be surprised what movies started out as a book! Chat About it… When the credits roll, talk about the interesting names in the credits, guess which actors’ voices matched up with which animated characters, or make time to just chat about what you watched. Discuss what you did or didn’t like about the movie, lessons learned and how you would have acted differently from the main character in the movie. Talking with kids about how movie characters handled fictional situations can be a subtle way to reinforce your family’s values or get kids to open up about their lives. Visit the library to follow up on interests piqued by the movie. Take the opportunity to give your reviews (thumbs up or thumbs down). Go ahead, embrace these ideas and your next family-friendly movie night will be a memorable one! No need to get all stressed out on venturing out of the house, so order your favorite family-friendly movies today. You will have money to spare and memories that will be priceless. Let us know what your #1 way is to make movies magical at your home. We’d love to hear! Comment below. What great ideas, love family movie night we do it with our teens every week, they make popcorn, we shut off lights, blast tv just like in the movies. As far as the popcorn goes, I like to put some BBQ seasoning / rub on the popcorn a really good one is Chef of the Future "Not Your Average" Cajun Seasoning, you can find them on facebook, Really good. And if I could add one more thing to do for family movies, ask everyone to turn off their cell phones during the movie, so that everyone does not get separated from the family. Great list, thanks for posting it. My son loves family movie night even if it's a movie he's seen a hundred times already. Mine too, especially if it involves a treat! We like to do the pajama thing! Another thing that we enjoy doing as a family for "movie night" is ordering a pizza and have a Pizza Party Movie Night! The only time we really eat in the living room! I love the joyful fun ideas, like dressing up, clapping and singing along, and special popcorn! These are great ideas. We have also done the winter picnic and a movie in the winter. We pull out the picnic stuff and blankets and watch a movies (in pj's) while we eat. the best part is no bugs. Pop your popcorn in coconut oil – it really makes it taste fabulous. My hubby has been on a jalapeno kick lately. Mixed with popcorn! I don't like it, but my 9 and 6 year old will chow down! Great ideas…movie night is always a favorite with my family. My six year old would have every night as 'movie night'! Great ideas! I like this post. I am going to bookmark this for future reading. The #1 way I make movies magical at my home is to get a babysitter for the night and watch a romantic comedy with my wife. We love pizza and movie night at our house, very rarely do we miss a week. I like to switch it up and make different flavors of popcorn each week. Peanut butter, caramel and cheese are three of our favorite flavors. My 3 favorite hints you have listed are #1, #3 and #10. Thanks for the great ideas. Popcorn is always a on our list– but the rest is an awesome way of rounding off the family fun night at the movies here–thanks. What a great idea. my favorite movie of 2012 so far is mirror mirror.